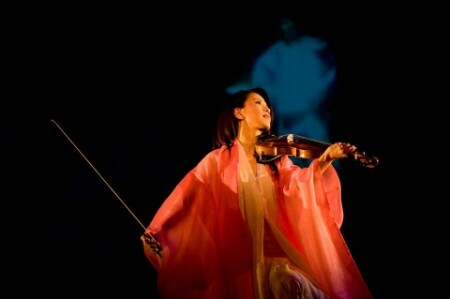 Follow the famous Tale of Genji, often considered the world’s first novel, through this original interpretation for violin, keyboard, and traditional Japanese instruments, led by popular violinist and composer, Ikuko Kawai. Co-presented by The Japan Foundation and the Freer|Sackler, in conjunction with the Freer exhibition Painting the Classics, this event is part of the National Cherry Blossom Festival as well as Japan 2019, a series of events highlighting Japanese arts and culture in the U.S. throughout 2019. There will be a pre-concert gallery talk The Tale of Genji in Japanese Art at 1 PM in gallery 5 of the Freer Gallery of Art. Advance tickets are available for $6 each through Eventbrite. Remaining tickets are free at the door beginning one hour before the show time. For more information on The Tale of Genji: A Musical Narrative, please click here.